Our birthday month continues with another exciting announcement today. Please join us in welcoming a new author to the team, Heather L. Reid! 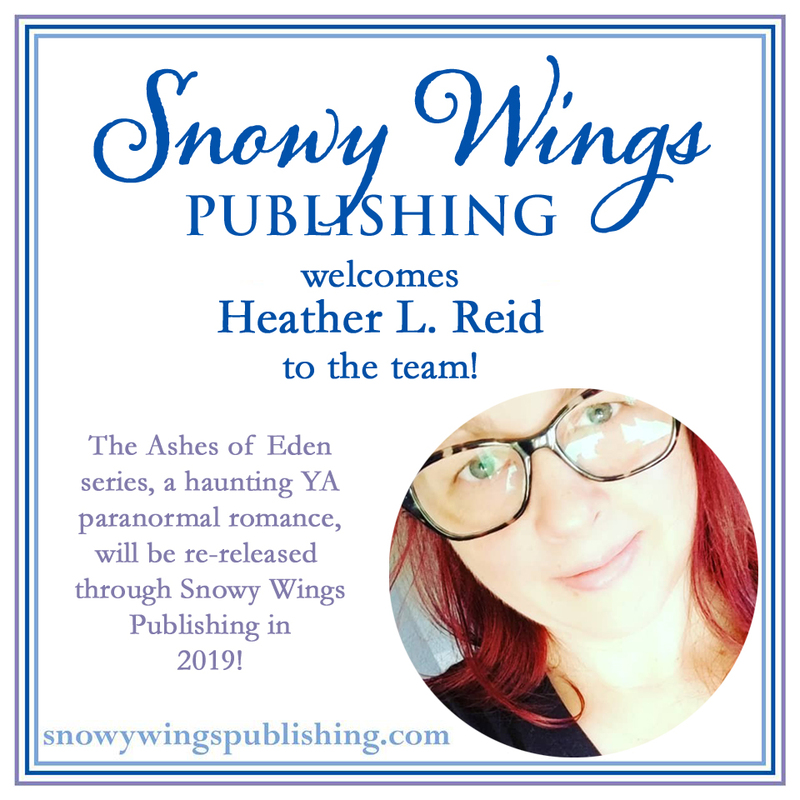 Snowy Wings Publishing is pleased to announce that we will be re-publishing Heather L. Reid’s Ashes of Eden (previously entitled Pretty Dark Nothing) series, a YA paranormal romance with elements of horror, in 2019. The series follows Quinn, an ex-cheerleader hunted by demons that want her dead before she discovers the truth about who she really is, and Aaron, an amnesiac with a psychic ability who can enter her nightmares with a touch. Their combined power could banish the darkness back to the underworld for good, but only if she learns to trust her heart and he recovers the secret locked away in his fragile memory. The first book, WHEN DARKNESS WHISPERS, releases in January, with OF DARKNESS DROWNING and the all-new third book of the series, FROM THE DARKNESS OF ASHES, coming later in the year. We’re so excited to welcome Heather to the team and to be bringing the Ashes of Eden series to you! Watch this space for information about the cover reveal for When Darkness Whispers and more in the coming months. Welcome, Heather!!! It’s so great to see you with Snowy Wings! !